…..news letter #518 – in the cold january rain…..
hope you all survived new years… i know it’s early in the year, but fortunately, a bit of stuff has started to trickle in. it’ll still be a few weeks before a lot of out of stock stuff will all be back in, but in the meantime, here’s some cool new stuff for you to enjoy…. – what a way to start the year! it’s not very often i hype cds, but this stuff is sooooooo essential that it has to be done. 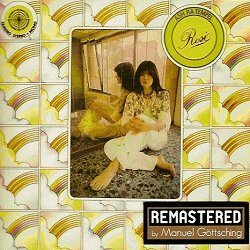 some of the absolutely best kraut-rock/kosmiche music to ever be released is finally available again and has been completely remastered by manuel gottsching himself, as well as released on his own label. 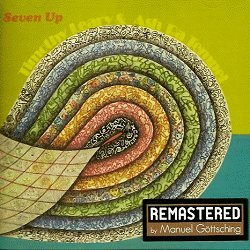 these albums date from 1971 – 1981, and bands today still can’t pull off what gottsching and crew (and what a crew… klaus schulze, hartmut enke, conny plank, etc) were able to pull off on these records 30-40 years after the fact. 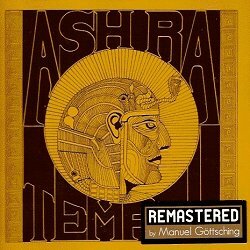 the first ash ra tempel is a blistering guitar freak out of the highest order… completely mind-melting. 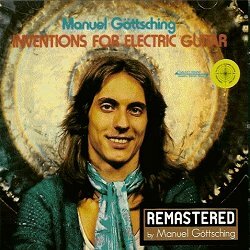 inventions for electric guitar is a staggering feat that sounds like it was made in a room full of synthesizers, yet there is only guitar used to create these early dance sounding tracks. 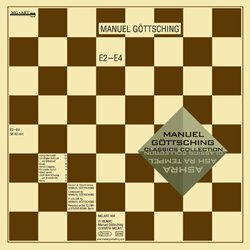 then of course you have the seminal e2-e4, which is considered to be one of the most influential electronic pieces ever recorded. needless to say, these are must haves for any collection, and considering the price of original lps of this stuff, these cds reissues are your most economic way to acquire these albums. highest possible recommendation!!!! – “in 1976, a self-released lp by art zoyd appeared in belgian record stores. all the ingredients of art zoyd’s sound for its first decade are here: unusual acoustic instrumentation for a rock band (violin, cello, piano and trumpet, plus guitar, bass, and percussion), dark and mysterious atmospheres recalling france’s magma and foretelling univers zero, and complex pieces owing as much to contemporary classical as to progressive rock. – reissues of two long out of print albums from helge sten aka deathprod, founding member of supersilent. killer norwegian ambient tunes. – forsyth and holtkamp team up, playing guitar and synthesizer andmodular electronics respectively. the record consists to two tracks, each witha great kraut guitar groove, but frequently rocking into a blissed out epicpsychedelic smog of wailing riffs and bubbling electronics. – solange gularte(natural snow buildings) returns for her second solo lp. adreamy psychedelic haze of shimmering drones, minimal string plucking withbarely-there vocals, gularte’s sound is somewhat more far out in comparison tosay twinsistermoon or natural snow buildings. limited to 400 copies. – limited double lp. starting in 2002, vampisoul is now established as one of the hippest and most respected reissue labels on the planet. la onda vampi is the latest in a series of popular vampisoul samplers. the label keeps travelling to familiar and new international destinations and their usual richness of sounds is broadened here by iranian grooves, ’60s czech mod r&b, flamenco rumba, psych library music from Italy, colombian cumbia — the present and recent past of the label is represented on this fantastic selection. – jake blanchard’s third volume of menagerie finally shows upjust over a year after #2… not only do the artists create imagery based on the musicians music, but this timethe musicians also create a track based on an image created by the artist. twoexclusive new tracks from each of these artists: ben nash, isengrind, c joynes and twinsistermoon. limited to 500 copies. – starring jack nicholson and released in early 1968, psych-out has been described as “a groovy movie par excellence, the citizen kane of the late ’60s haight-ashbury scene.” its superb soundtrack originally appeared in april 1968, combining classics by acid-rock heroes the strawberry alarm clock and the seeds with exclusive material from the storybook and boenzee cryque. packed with flute, organ, sitar, fuzz and more. this is the first vinyl reissue. thanks for reading, as always….